Bottom Boards for Bee Hives-Which is Type is Best? Bottom Boards for Bee Hives – Which is Best? An important first lesson for new beekeepers is understanding the parts of a beehive. What better place to start than the bottom? The base of a Langstroth hive is called a bottom board. For many years, Solid Bottom Boards were the industry standard. In recent years, Screened Bottom Boards have become more popular. Which is better for your beehive? Lets explore considerations for bottom boards for bee hives. What Does A Bottom Board Do? First, let’s understand the function of a bottom board. It is the base of the beehive. All the other components of the hive sit on this base. 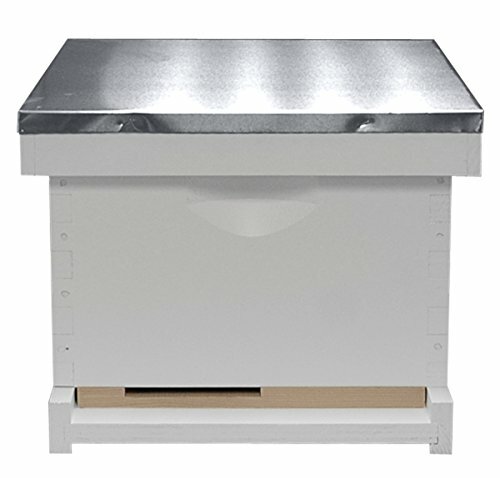 A bottom board provides an entrance to the beehive that is easily reduced or closed. It also seals up the bottom of the hive from larger predators such as mice, opossums etc. Most bottom boards for bee hives are made of wood. They will last longer if they are elevated off the ground. A commercial beehive stand or a couple of cement blocks can serve as a good stand. Which Style of Bottom Board to Choose? Beekeepers have 2 different types of bottom boards to choose from. Solid Bottom Boards have been in use for more than 100 years. They are part of the original Langstroth hive design. Screened Bottom Boards came into use in the years since varroa mites become a problem for our hives. Which type of bottom board is best? Honestly, both types have advantages. Solid Bottoms Boards are cheaper to build. It is hard to believe that wire is more expensive than wood. However, that is often true. 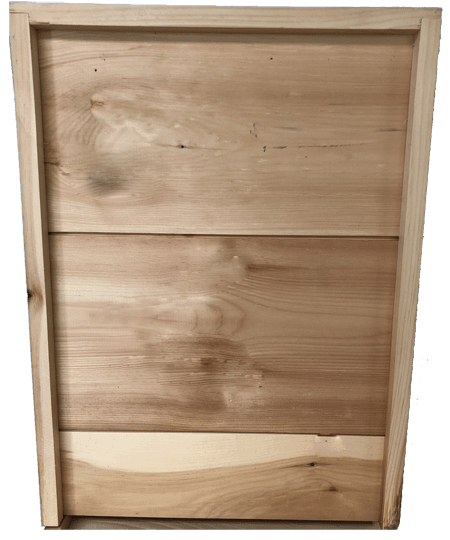 Usually made of pine or other soft wood, it does not require a lot of expertise to build a solid wooden bottom. Solid Bottom Boards can help keep the hive warmer during in early Spring. 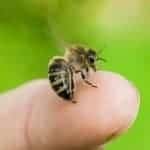 Some beekeepers believe that a solid base encourages earlier brood rearing. Also, the increased darkness inside the hive, may cause the queen to lay further down in the hive body. All through the year, debris will drop down through the hive. Dropped pollen, beeswax, propolis and pests will accumulate on the solid floor. This accumulation of hive debris can cause pest problems. It should be cleaned several times a year. Drop Mite Counts are more difficult with solid bottom boards. Some beekeepers use natural mite drops as a measure of varroa infestation. With solid bottoms, you will need to purchase a special wire/sticky board combination to do a mite drop count. Otherwise, your honey bees will stick to the count board! Screened Bottom Boards gained popularity among beekeepers during the influx of varroa mites. They were originally designed to be part of an IPM (Integrated Pest Management) system. Researchers understood that a small percentage of mites drop from adult bees during grooming. Any mites that fell through the screen to the ground would not make it back into the hive. While the screened bottom only removed a small percentage of varroa mites, it helped mite control in another way. The screen allowed for an easy method of testing for mites. 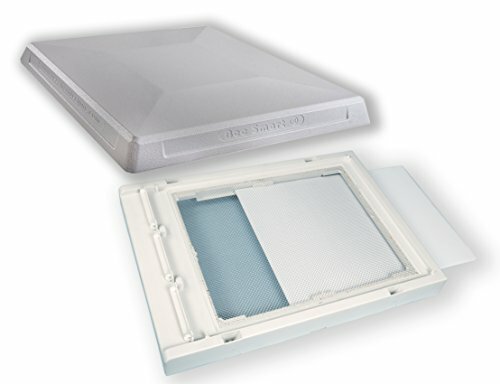 A “sticky board” could be placed under the wire bottom. The wire screen keeps the bees off the sticky board. Mites falling through land on the sticky board. This enables the beekeeper to count the natural mite drop. And they can estimate the level of mite infestation in the colony. Screened Bottom Boards definitely provide better hive ventilation. Even during Winter, our hives need to have good ventilation. A Screened Bottom Board makes hive ventilation easier for the bees. Because I live in an area with Small Hive Beetles, I choose to use Screened Bottom Boards. Bee hives placed in full Sun are less plagued by hive beetles. But it gets hot out there in the sun during July! Having Screened Bottom Boards helps my bees control the heat inside. 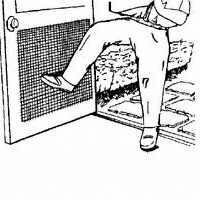 Screened Bottom Boards have #8 size wire mesh. This size of mesh wire will not allow honey bees, wasps or hornets to enter. However, tiny beetles are able to fit through the wire. This is a concern for me. However, beetles seem to have no problem just walking in the front door either! Many northern beekeepers use Screened Bottom Boards. Still, some beekeepers feel concern over leaving the screen open during Winter cold. My easy fix for this is to leave the mite count board in during winter. 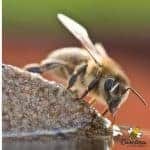 All types of bottom boards for bee hives have advantages and challenges. I live in the hot, humid South and have colonies in full sun. My choice is to use a Screened Bottom Board. If a polar cold front comes through during Winter, I put the removable mite count board in place. Honestly, either type of bottom board can work well for your honey bee colonies.